Everyday Gyaan Nests In Your Hair? 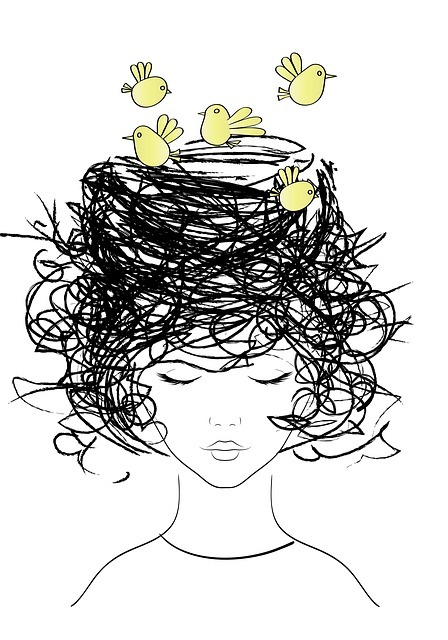 You are here: Home / Life and Inspiration / Nests In Your Hair? When I was young and went through times of pain and hurt – some real, some imagined – I thought I was the only one feeling that way. At such times, it was of little consequence to me that someone else might actually be suffering more than I was. In other words, I was totally self-absorbed. But as I’ve grown, I’ve realized that trouble, pain and times of hardship are a part of each of our lives. Some people do seem to have it much tougher than others. And life does seem unfair quite often. But ultimately, it’s how we deal with what life offers us that makes all the difference. Some of us let the birds of sorrow to fly over – we take things in our stride and learn to channelize our painful in to learning experiences. We allow our pain to make us more understanding and compassionate. Unfortunately, some of us allow the birds of sorrow to take permanent residence in our heads. Our pain and our feelings of hurt and loss are the is what drives all our decisions and choices. We begin to feel that we are ‘victims’. The ‘victim stance’ as psychologists call it is a very dangerous one – the ‘victim’ feels that s/he is always morally right, neither responsible or accountable, and forever entitled to sympathy. I was deeply moved by a statement of Priyanka Gandhi Vadra when she was asked how she could forgive Nalini (one of the accused in her father, Rajiv Gandhi’s assassination). She said : I think this whole business of forgiveness is really that, at some level, we all consider ourselves victims. Maybe it can be a case of someone being nasty to us, or someone would have done something like kill someone we love, which is a bigger thing and then we consider ourselves victims. But the minute you realise that you’re not a victim and that the other person is as much victim of that same circumstance as you, then you can’t put yourself in a position where you are anyone to forgive someone else. Because your victimhood has disappeared. By not allowing herself to become a slave to victimhood, this woman has chosen a stance of self-responsibility and freedom. And that’s a place we all can be – a place of freedom – a position of taking responsibility for our own actions and the consequent outcomes. So don’t let those birds of sorrow mess with your head! Enjoy your freedom to choose……. Nice….trying to clear a few "nests" in my head too…getting on with life,being with people and attempting to get back to my books is helping me to get on and over it!! Really, "those birds kinnda keep coming again and again", I have experienced that. That's why I posted another bit of "Don't worry " post, just to remind myself not to give in to worries. Thanks Corinne, for this wonderful post. B. At the same time, those birds kindda keep coming again n again, I mean, its like our head is kind of a hotel or something where they come and stay for sometime, and that sometime affects you so badly that it then takes a long time to come back to a stage mentioned in point A…and after a while you realise that its kind of becoming a vicious circle….